Having posted out a vacancy advert to a selection of your job board and social sources, you might need to repost the advert again. This could be because the advert has expired, need editing if the job board allows that, or you just need to post the same advert to a different board or source. In this article we'll show you how to repost your existing adverts, including making any edits to improve your candidate response. Before we begin though, please note that this is a different workflow to the 'Post a new advert' option accessed via the 'Recruiting options' button inside your vacancy. You should only follow that process if you want to create a brand new advert with a unique reference number. Here's an article which outlines the difference between 'Reposting' and 'Post a new advert', and occasions when you might prefer to use the latter. 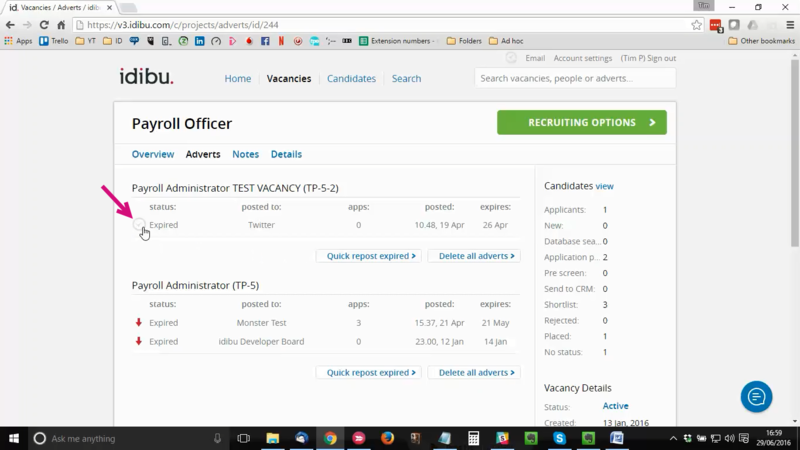 If you are outside of the vacancy, you can access the vacancy advert(s) page from the vacancies tab by clicking the 'Ad' link on the required vacancy. The number indicated next to 'Ad' refers to how many times the advert has been posted and reposted to date, e.g '9 Ads' and '1 Ad' in the screen shot below. This takes you through to a list of all the adverts that have been posted to date against the vacancy. 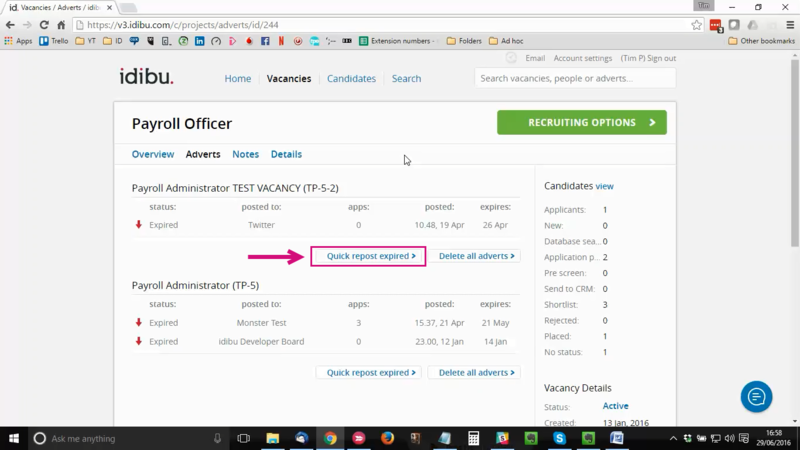 To repost an advert to the same job board/social sources without making any edits, simply click 'Quick repost' on the advert in question. 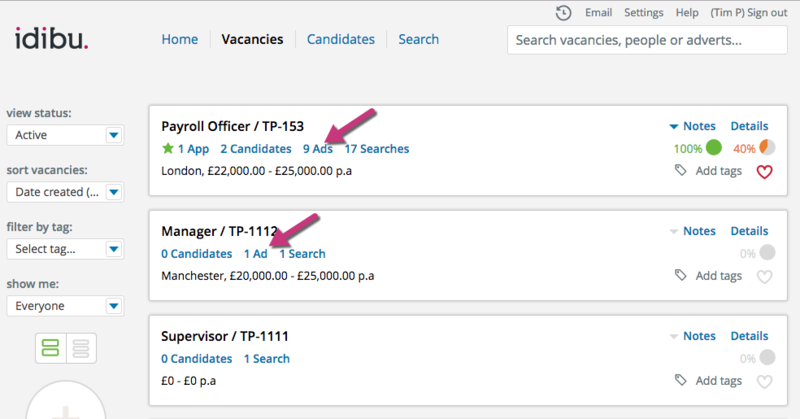 To edit your advert to improve your candidate response, or to change your posting destinations, hover over the vacancy with your mouse, then click the grey 'tick' in a circle on the left hand side. This will then turn green and allow you to choose 'Repost selected'. This opens up the original advert page and allows you to make edits to your advert. When you are happy with your changes, scroll to the bottom and click 'Choose Posting Destinations'. 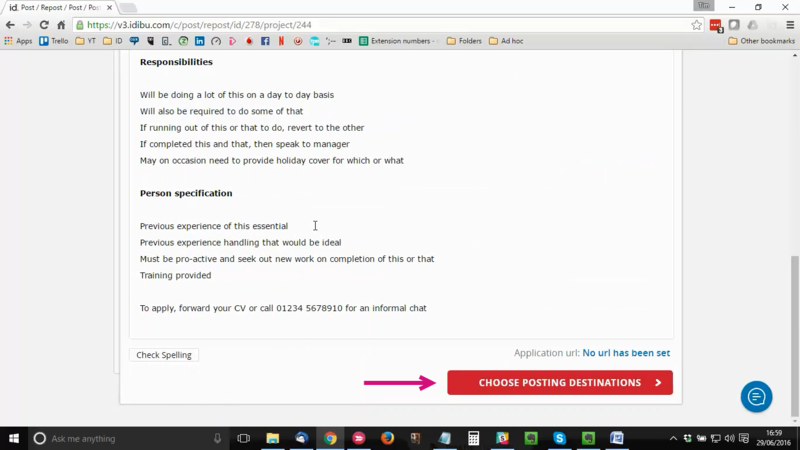 You can now select your posting destinations and complete the posting process as normal. Take a look at this article for more details on multi-posting adverts.